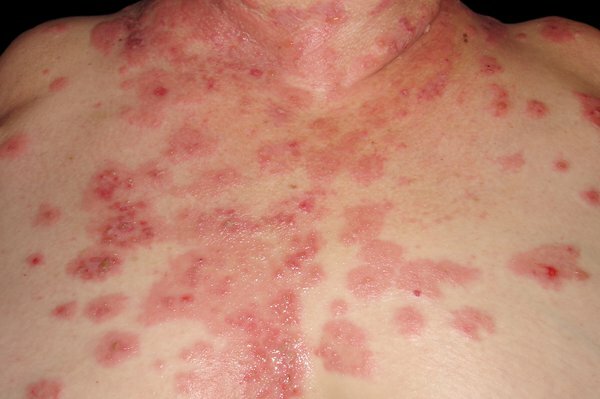 Bullous pemphigoid is a rare skin condition that causes itching, redness and blisters. It may last a few years and sometimes causes serious problems, but treatment can help. Bullous pemphigoid mainly affects people over 60. Not everyone gets blisters. If you do, they may keep coming and going for months or years. 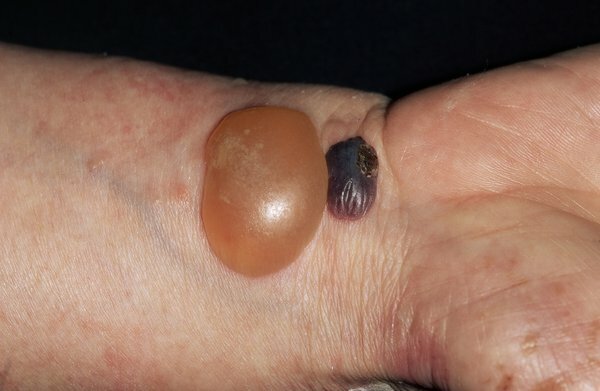 There are several other causes of blisters if you're not sure it's bullous pemphigoid. A GP can check what the cause might be. If they think it could be bullous pemphigoid, they may refer you to a specialist for tests and treatment. 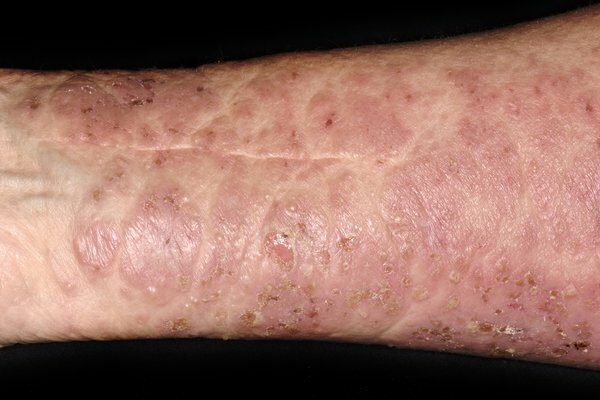 Bullous pemphigoid eventually goes away on its own, but it can last a few years. Treatment can help your skin heal, stop new patches or blisters appearing, and reduce the risk of your skin getting infected. Your skin should eventually heal without scarring, but it might be a bit darker than it was before. Do not burst your blisters – your skin might get infected. If a blister is in an annoying place (like the bottom of your foot), your doctor can drain it with a needle. Even with treatment, bullous pemphigoid can sometimes cause serious problems. Steroids will be used as little as possible, and at the lowest possible dose, to help avoid side effects. Make sure you attend any check-ups your doctor recommends so problems can be spotted and treated early. Bullous pemphigoid is caused by a problem with the immune system (the body's defence against infection). Instead of attacking germs, it attacks and damages the skin. It's not known why this happens. Sometimes it's been linked to skin damage (such as sunburn) or taking certain medicines.